This Quick Serve Mexican grille serving an authentic blend of fresh, Mexican food. Opportunity to get in with a growing Fast Casual Mexican franchise. There are Two stores available...one in Fresno & one in Clovis....Purchase one store or both as a package deal! New Price @ $97,500 each store! Amazing value. An Owner/Operator is ideal for this location to increase sales & profits...Currently, this is a Semi-absentee operated location...this represents a big opportunity to build sales and profits! This Location is in a very high traffic new development and has been open just over one year. This location has an established, experienced, performing team and offers you turn-key ownership. Initial startup expenses in the first months have been normalized...saving lots of money to an owner upon transfer of ownership. A typical restaurant build out like this one can range from $450,000-$750,000 to build, permit and fixturize a store like this. All the equipment and assets are included. End Cap, ample parking and a perfect size location (approximately 2400 square feet), plus outside patio seating. You will have a couple of weeks training by the franchisor, and this purchase may qualify for SBA financing for qualified buyer candidates. 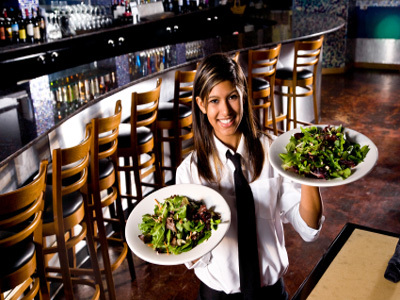 Increase profits through growing catering sales. 1.) Purchase current operation, franchise license and run store as-is. Seller states if an owner-operator runs this store properly... store can generate Good profits. 2.) Purchase assets of the store and Operate your own Concept or Franchise as an additional location or first unit! All equipment is brand new. Over $450,000 was invested in this location. Own this Opportunity at 1/3 of the build out costs! Competitive lease $8,250 for a new Super Busy Retail Center and long lease terms. Buyer will need to have financials and operating background to qualify with landlord and franchisor. Seller Motivated, Offers considered... Don't miss this opportunity! To get more information about this Franchise Quick Serve Mexican Restaurant business for sale in Fresno please phone Scott Beaton (Intermediary, Agent - BRE License #:01853968) at 916-622-5897 - if you get voicemail please leave a detailed message - make sure you mention you saw this posting/ad #249084 on BizBen.com. In addition to phoning Scott Beaton, make sure you email Scott Beaton above to get more info about this Franchise Quick Serve Mexican Restaurant, to ask any questions or request an appointment to see this business for sale, franchise, or opportunity. Thank you.